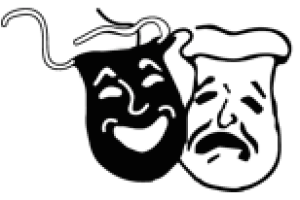 The Voorhees Theatre Company, in conjunction with the Voorhees Community Education and Recreation (CER) Department, will once again offer itssummer theatre program, June 27 to Aug. 6. Now in its 13th year, the VTC summer theatre program offers a performance option for children in grades three to eight and a technical theatre option for young people in grades seven to 10. Attracting young people from many South Jersey communities, including Voorhees, Cherry Hill, Marlton, Gibbsboro and Berlin, the program takes place at the Voorhees Middle School. Performance program participants split their days between rehearsing for the show and participating in a variety of inter-active workshops taught by theatre professionals. Since its Broadway debut in 1997, “Disney’s The Lion King,” based on the animated movie, has wowed audiences around the world. In this “Broadway Jr.” version, written specifically for young performers, the African savannah comes to life on stage with all the beloved characters and familiar songs of the original show. Simba, Rafiki, and a cast of characters journey from Pride Rock to the jungle and back again in this coming-of-age tale. Registration begins March 1. Materials are available at www.voorheestheatre.org/summerprogram, at the Voorhees CER office at the Voorhees Middle School, or by emailing Karen@voorheestheatre.org. The program will run for six weeks, Mondays to Thursdays, 9 a.m. to 3 p.m. Cost is $575 for Voorhees residents and $595 for non-residents. Before and after-care is available. VTC is a non-profit community theatre providing opportunities for young people to participate in theatre as performers, technicians, and audience members. In addition to the summer camp program, VTC will produce the popular musical The 25th Annual Putnam County Spelling Beefor high school and college age participants this summer, and an all-ages production of Disney’s “Beauty and the Beast” in the fall. For more information about VTC and its programs, visit www.voorheestheatre.org or call (856) 206–3554.